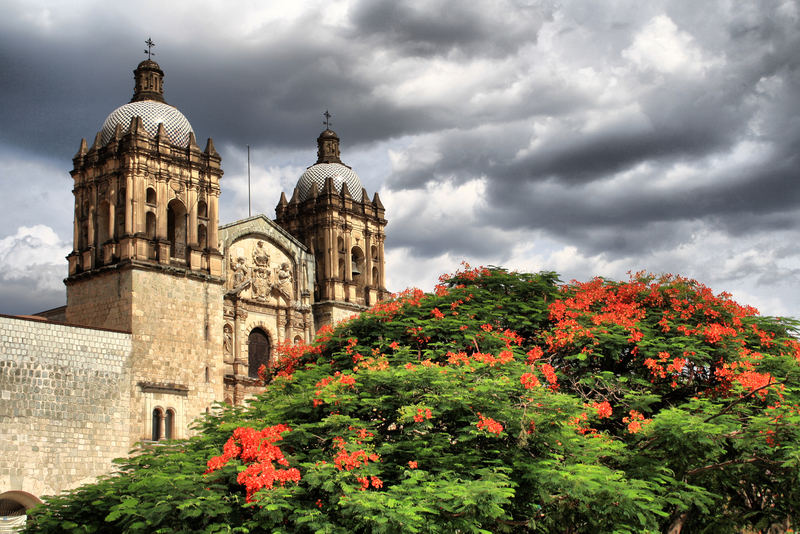 Modern day Oaxaca, a state in southern Mexico, was founded in 1824, shortly after Mexico won its independence from Spain. Throughout the region’s early modern and modern history, it has been positioned as a world apart from the rest of Mexico, and its rugged and varied geography has had a role to play in its distinctive regional identity. Oaxaca encompasses a significant southern coastline along the Pacific Ocean; the windswept Isthmus of Tehuantepec, which has provided communication between the Gulf of Mexico and the Pacific; and a mountainous interior cut through by high intermontane valleys. The Sierra Atravesada, Sierre Madre de Oaxaca, and Sierra Madre del Sur converge to form the Oaxaca Complex, with elevations ranging from sea level to greater than 3,700 meters. The Central Valleys between Etla and Miahuatlán, which include the capital city of Oaxaca de Juárez, represent the cultural and population heart of the state (fig.1). Numerous villages dot Oaxaca’s eight regions, for a total of five-hundred and seventy one municipalities, the greatest number of any state in Mexico. Many of these indigenous villages have been able to hold on to their lands through three hundred years of Spanish colonial rule and almost two centuries of nationhood. Native landholding, the state’s decentralized administrative landscape, and the region’s political economy have afforded Oaxaca’s indigenous communities considerable semi-autonomy. 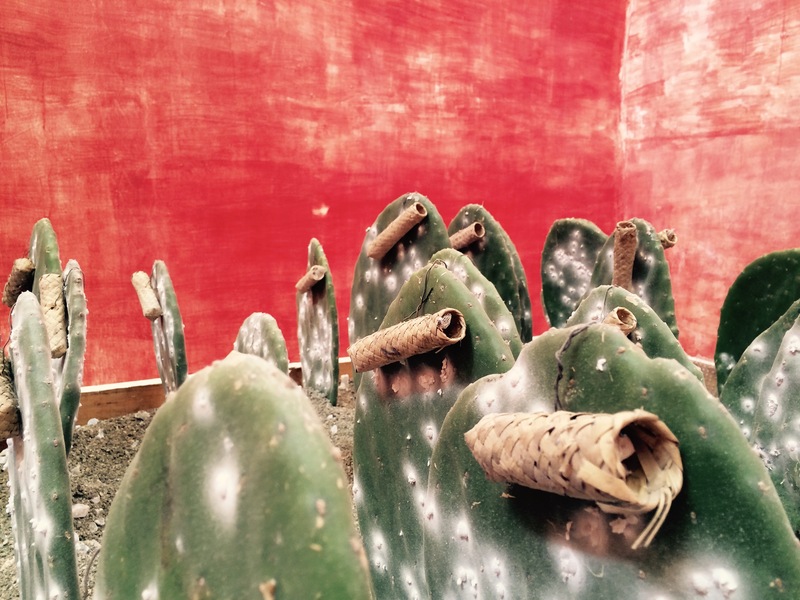 Oaxaca has long been known for its diversity of indigenous peoples and cultures. Since the pre-Columbian period, the Zapotecs and Mixtecs have claimed the largest populations and the most expansive territory. 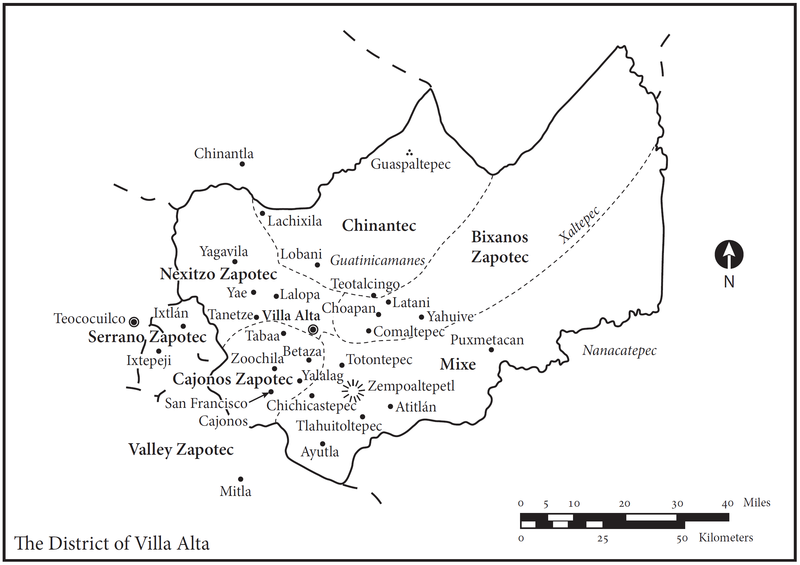 Pitted against one another through warfare, and brought together through strategic marriage alliances, prior to the Spanish conquest, the Zapotecs and Mixtecs occupied urban ceremonial centers in Oaxaca’s central valleys, the best known of which is the table-top mountain archaeological site of Monte Albán (fig.2). 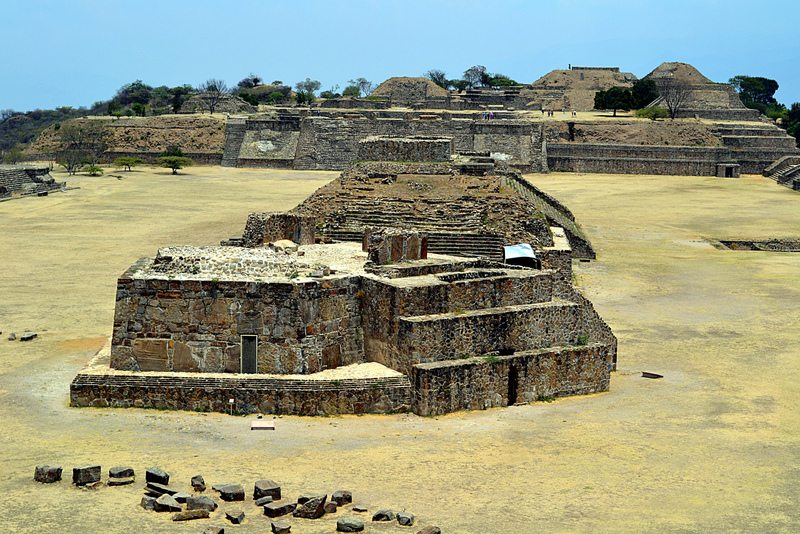 Located nine kilometers west of modern-day Oaxaca City, Monte Albán (500 B.C.E) was one of Mesoamerica’s earliest cities and served as a Zapotec political, ceremonial, and economic center for approximately one thousand years. 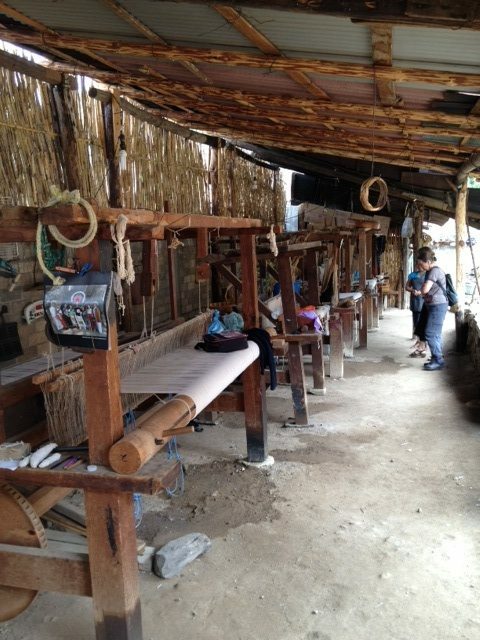 Oaxaca state has a total population of about 3.5 million with 53% living in rural areas. Its ethnic and linguistic diversity is unparalleled in Mexico: at least one third of this population speaks one of sixteen indigenous languages. Oaxaca’s rugged mountainous terrain, which has created geographical barriers among its distinct regions has contributed to its ethnic diversity. The Sierra Norte of Oaxaca, home to the district of Villa Alta, encompasses the area from the top of the Sierra Madre north of Oaxaca City to the coastal plains of the Gulf of Mexico (Map 1). Its geography and mountainous terrain situated the region at a remove from imperial centers in the years prior to the arrival of Spanish colonizers and after. The Pre-Hispanic indigenous society of the Sierra Norte (including Zapotec, Mixe, and Chinantec ethnic groups) differed from the long-established, urbanized, and densely hierarchical pre-Hispanic societies that were found in central Mexico, the Mixteca, or in the Valley of Oaxaca. Indeed, Sierra Zapotec settlements appear to have been only recently established at the time of the Spanish invasion. Sierra Zapotec society emerged from political instability and warfare in the Valley of Oaxaca during the late post-classic period (1350-1521). This situation sparked successive waves of migration to both the Isthmus of Tehuantepec and the Sierra Norte in the century prior to the arrival of the Spaniards. Upon arrival, they divided territory and established settlements. There was a basic division in these settlements between nobles and commoners, but it appears that the finer social distinctions that characterized indigenous society in the valley of Oaxaca, the Mixteca, and Mexico’s central valleys did not exist. Genealogical relationships loosely bound the new populations, but these linkages never reached the complexity or depth of those of the Valley of Oaxaca. Intermarriage and other forms of alliance did not have sufficient time to form deep roots due to the relatively short period between settlement and the Spanish conquest (less than a century). As a result, small scale cacicazgos (noble estates), loose interrelation among them, and relative autonomy characterized political and territorial relations among Sierra Zapotec settlements. The ethos of autonomy among Sierra communities was bolstered by the fact that the Sierra never fell under the direct control of the Aztec Empire. We know less about the history of the Mixe and Chinantec peoples who inhabited the Sierra Norte. The Chinantecs occupied the lowlands that sloped northward from the Sierra Norte toward the Gulf of Mexico. The Chinantec language, like the Zapotec and Mixtec languages, is part of the Otomanguean language family, whereas the Mixe language belongs to the Mixe-Zoquean family. During the pre-Hispanic period, ethnic divisions were expressed through warfare between the Zapotecs and Mixe, and the Zapotecs and Chinantecs. Ethnic rivalries persisted into the colonial period. Prior to the Spanish conquest, the Mixe occupied territory that stretched from the eastern Sierra Norte through to the lowlands of the Isthmus of Tehuantepec. During the first half of the colonial period, the Zapotecs who had allied with the Spaniards during the conquest to defeat the Mixe used the Spanish legal system to dispossess the Mixe of their lands. The ethnic diversity of the Sierra Norte was unusual in New Spain for an area of its size (12,700 square kilometers). Linguistic diversity complicated matters even further. Among the Sierra Zapotecs who resided in the district, three variants of Zapotec were spoken: Nexitzo, Cajonos, and Bijanos. The rugged mountainous terrain isolated these Zapotec peoples from one another and most likely contributed to the development of this remarkable linguistic diversity (Maps 2 and 3). Physical geography played a role in separating the Sierra Norte from other regions of Mexico in both the pre-Hispanic period and afterward. Layers of rugged mountains isolated the region from the Valley of Oaxaca. The difficult terrain combined with fierce local resistance made the Spanish conquest of the Sierra a prolonged and bloody affair. Spanish conquistadors had to make at least three attempts to subdue and pacify the region. The first two forays, led by Rodrigo de Rangel in 1523-1524, met with some initial success until native rebellion forced the Spaniards to retreat. A third campaign in 1526, led by Gaspar Pacheco and Diego de Figueroa, owed its partial success to the excessive force used by the Spaniards, most notably the deployment of fearsome mastiffs to hunt and devour Indian rebels, and the participation of a few hundred native allies from central Mexico. A war raging between the Zapotecs and Mixes of the region also contributed to the eventual military success of the Spaniards and their indigenous allies. During the following year (1527), Pacheco and Figueroa established the Spanish seat of power at San Ildefonso de Villa Alta. The tiny settlement of Spaniards in Villa Alta (which never exceeded more than thirty families) and their central Mexican native allies, known as “indios conquistadores,” spent much of the sixteenth century attempting merely to achieve stability and establish the most basic foundations of colonial rule. Once the region had been pacified militarily, the Spaniards carved the district’s indigenous population into encomiendas (grants of labor and tribute rights given by the Crown), and initiated a regime of forced labor that resulted in a rebellion centered in the Nextizo Zapotec community of Tiltépec in 1531. The Spaniards and the Indian conquerors responded swiftly and cruelly, torturing and executing a number of community leaders. The Indian conquerors proved the centrality of their role in the prolonged conquest of the Sierra as they helped the Spaniards to put down a general rebellion that shook the region in 1550, a second uprising that erupted in Choapan in 1552, and a Mixe rebellion in 1570. The overwhelmingly destructive effects of epidemic disease on the indigenous population cannot be overemphasized as a factor in Spanish military success. In 1548, the region’s population numbered 95, 851. Twenty years later, this figure was reduced by a third. The indigenous population would eventually stabilize at between 30,000 and 40,000 (at its height in the eighteenth century). The disarray of indigenous society and political leadership that accompanied the epidemics eventually broke the back of native resistance in the Sierra Norte, and facilitated the consolidation of Spanish power. 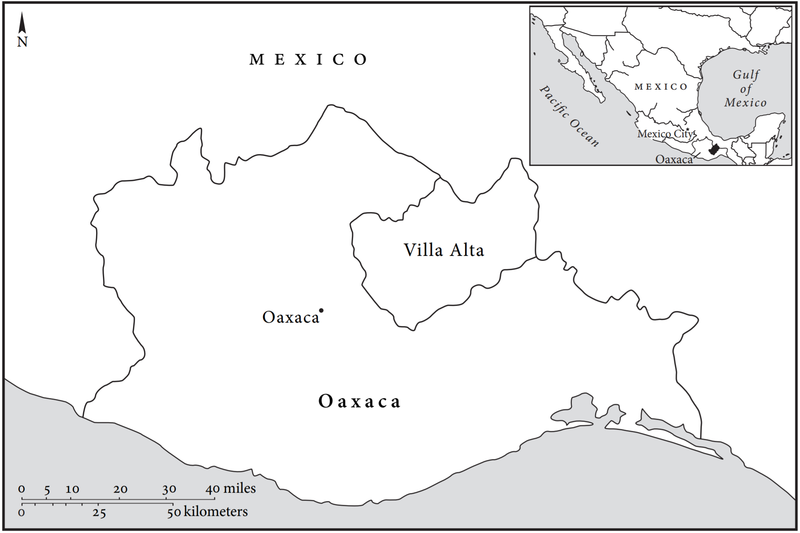 From a political-economic perspective, the district of Villa Alta in the Sierra Norte of Oaxaca rested on the periphery of the Spanish colonial system, yet the repartimiento (system of forced production) of cochineal dye (grana de cochinilla) and cotton cloth (mantas) contributed significantly to the economic vitality of New Spain (fig.3, fig.4). The Spaniards of Villa Alta established the repartimiento in the decades that followed the conquest. The system did not reach its peak production, however, until the eighteenth century. In Villa Alta and in Oaxaca in general, the repartimiento represented a system of forced production and consumption known as the repartimiento de efectos or mercancías, not to be confused with the labor draft also known as the repartimiento. The remarkable profitability of trade in cochineal and cotton cloth made Oaxaca one of the most lucrative regions in New Spain. Among the Spaniards of Villa Alta, the alcalde mayor (magistrate) held the most powerful post. Throughout the colonial period, the alcalde mayor served as the district’s highest judge in civil and criminal affairs, and was responsible to the Crown, and at some levels to the Church in matters concerning the administration and control of the region’s indigenous population. His administrative responsibilities included the enforcement of rules of productive labor, land use, residency, and social order within Indian pueblos. In the judicial realm, he served as criminal judge, police commissioner and royal investigator, and the arbiter of property relations and land transactions. Financial responsibilities accompanied administrative and judicial duties. The alcalde mayor played the role of the guardian of the regional economy, supervising tribute collection, regional markets, and the local weights and measures used in market transactions. But the small number of Spaniards available to fill the district’s civil bureaucracy hampered the alcalde mayor’s ability to fulfill the duties of his office to the maximum, that is, to impose full social control in the region. For governing and for the administration of the repartimiento, the magistrate and the Spanish vecinos (residents) of Villa Alta relied largely on indigenous governors of the district’s one-hundred pueblos de indios (Indian municipalities). The small size of the Spanish settlement, and its anemic civil bureaucracy made the role of the Dominican missionaries who evangelized and administered the region from the military conquest until 1700 central to the colonial enterprise. But small numbers plagued the Dominican administration as well. Until 1700, less than ten percent of the pueblos in the district of Villa Alta (around one-hundred total) had a resident priest. In this regard, the Dominican order, which served as a parallel state structure in the region, was also limited in its ability to establish social control. In order to be effective at all, the Dominicans had to form a partnership of sorts with the region’s native nobility. After 1705, in response to an indigenous rebellion brought about by conflict over ‘idolatry’, Bishop Angel Maldonado (1658–1728) expanded the six Dominican parishes into eighteen secular parishes, and increased the number of parish priests from twelve to twenty-five. The expansion of clerical presence and an emphasis on Christian and Spanish language education in native villages coincided with a turn away from the use of native languages in native-produced notarial records and toward Spanish as a language of interface with the legal sytem. Other changes during the eighteenth century help to explain an increase in notarial and legal activity on the part of native people in Villa Alta. During the last decades of the 18th century, communal plots worked by individuals (tierras de común repartimiento) began to fragment due to inheritance and customary law regarding access to the land. This process was compounded by population growth, increasing pressure on the land, the Bourbon policy of disentailment, and the deterioration of indigenous economic production. Fragmentation of lands and liberal efforts to break up communal property persisted into the nineteenth century. This confluence of factors promoted agrarian disputes that often went to colonial courts, and later, national-era courts. In addition, over the course of the eighteenth century, an upwardly mobile class of hispanized and literate natives struggled with hereditary nobility over native officeholding. These conflicts over local authority and land increased the volume of litigation and required the services of legal agents and lawyers. Margarita Dalton, Breve Historia de Oaxaca (México: El Colegio de México; Fideicomiso Historia de las Américas; Fondo de Cultura Económica, 2004); Carlos Sánchez Silva, Indios, comerciantes y burocracia en la Oaxaca poscolonial, 1786-1860 (Oaxaca, México: Instituto Oaxaqueño de las Culturas; Universidad Autónoma Benito Juárez de Oaxaca, 1998). Joyce Marcus, Monte Albán (México: Fondo de Cultura Económica, 2009). Michel Oudijk, Historiography of the Bénizáa: The Postclassic and Early Colonial Periods (1000-1600 A.D.) (Leiden, The Netherlands: Research School of Asian, African and Amerindian Studies: Leiden University, 2000). Oudijk, Historiography of the Bénizáa; John K Chance, Conquest of the Sierra: Spaniards and Indians in Colonial Oaxaca (Norman: University of Oklahoma Press, 1989). Alonso Barros van Hövell tot Westerflier, “Cien años de guerras mixes: territorialidades prehispánicas, expansión burocrática y zapotequización en el istmo de Tehuantepec durante el siglo XVI” Historia Mexicana 57, no. 2 (2007): 325-403. Dalton, Breve Historia; Juan José Rendón, Diversificación de las lenguas zapotecas (México: Instituto Oaxaqueño de las Culturas y CIEAS, 1995). Yanna Yannakakis, The Art of Being In-Between: Native Intermediaries, Indian Identity, and Local Rule in Colonial Oaxaca (Durham and London: Duke University Press, 2008), 21-22 and ch.6; Chance, Conquest of the Sierra, ch.2. Chance, Conquest of the Sierra, ch.2; Yannakakis, The Art of Being In-Between, 22. Chance, Conquest of the Sierra; Yannakakis, The Art of Being In-Between, 22-23. David Tavárez, The Invisible War: Indigenous Devotions, Discipline, and Dissent in Colonial Mexico (Stanford: Stanford University Press, 2011), chs.4-8. Luis Alberto Arrioja Díaz Virruel, Pueblos de indios y tierras comunales. Villa Alta, Oaxaca: 1742-1856 (México: El Colegio de Michoacán, 2011). Chance, Conquest of the Sierra, ch.5; Peter F. Guardino, The Time of Liberty: Popular Political Culture in Oaxaca, 1750-1850 (Durham and London: Duke University Press, 2005), chs. 2, 3, and 6.